Abstract: The present study investigated the relationship between mindfulness, defined as a state of receptive attentiveness to and awareness of the current moment, and employees’ engagement at work. 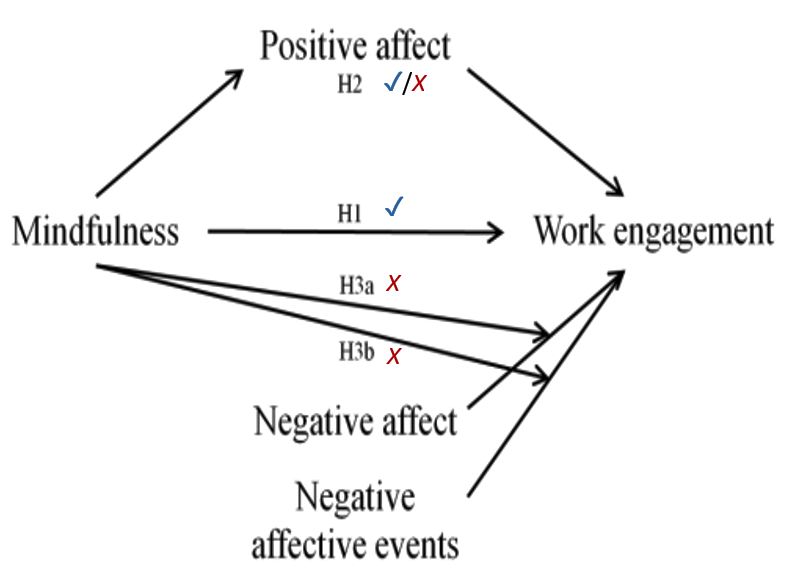 Furthermore, the role of affect regulative processes for this relationship was explored: First, positive affect was examined as a mediator between mindfulness and work engagement. Second, mindfulness was examined as a buffer against the detrimental effects of negative affect and negative affective events on work engagement. Seventy-six employees reconstructed their activities and experiences at work episodically on a workday (57% female, M age = 40 years). Results partially confirmed the hypotheses. Multilevel analysis revealed that mindfulness was positively related to work engagement, and, as predicted, this relationship was partially mediated by positive affect. In addition, mindfulness was found to moderate the negative affect-engagement relationship. 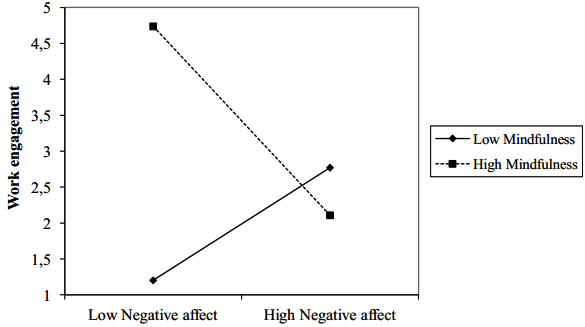 However, contrary to expectation, negative affect was negatively related to work engagement in highly mindful individuals, while for individuals low in mindfulness negative affect was positively related to work engagement. Practical implications for using mindfulness to foster work engagement and directions for future research are discussed in conclusion. Mindfulness has been described as a state of awareness characterized by refined attentional skills and a non-evaluative attitude toward internal and external events. Recently, it has been suggested that higher levels of mindfulness may be beneficial in the workplace and first programs aiming to increase mindful awareness in occupational settings have been introduced. Thanks for your best post.